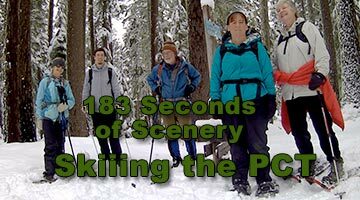 Winter on the Pacific Crest Trail - Explore! 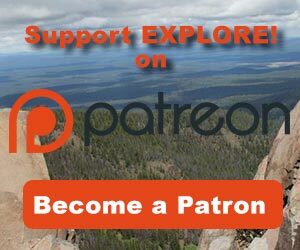 Winter on the Pacific Crest Trail - Explore! Taking on the Pacific Crest Trail in the winter is an enormous adventure if you want to cover the whole 2,659 miles. Such an adventure requires extreme skills with your skis and/or snowshoes, advanced knowledge of winter survival, lots of careful planning and super human strength. Even with that, the trek is so dangerous that few even attempt it. 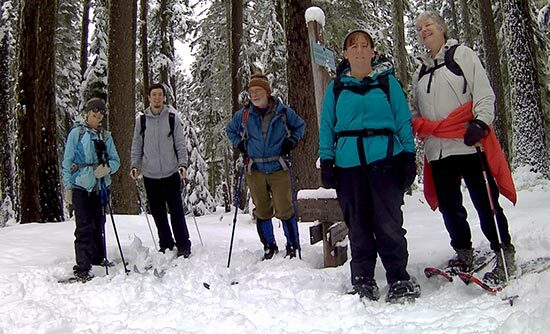 The number of successful attempts on the Pacific Crest Trail in the winter numbers just one. Shawn Forry and Justin Lichter succeeded in a through hike during the winter of 2015-2016. An earlier attempt by Gerald Duran and Jodi Zaitchick ended in their deaths on December 3, 1983 after they slid 300 feet down a near-vertical ice chute. If a through hike isn’t in the cards for you, there are still a multitude of opportunities to enjoy the trail in the winter. It’s a matter of locating an accessible section of the trail that you can easily manage and setting out on your skis or snowshoes. Just be sure that your planning takes into account changing weather conditions, the length (distance and time) of your journey, food and shelter – if you are planning on staying out over night. Our adventure was pretty much unplanned. The day was supposed to be spent at Crater Lake National Park, but excessive snow had closed access to the rim and driving conditions were quite hazardous. Instead we decided to head for a short, 2-mile section of the Pacific Crest Trail that some in the group had skied before. I was with the Klamath Basin Outdoor Group, a group that plans and executes adventures every Saturday. On this Saturday we drove from Klamath Falls, Oregon, to the intersection of Dead Indian Memorial Road and the Pacific Crest Trail labeled RD1759 on the map below. 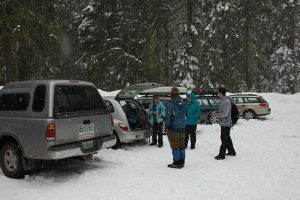 Three of us skied and three snowshoed two miles to the South Brown Mountain Shelter (WA1761). We arrived after a night of six to eight inches of powder snow that had warmed up considerably. The snow packed easily under our skis making a nice track. That snow was atop several feet of older snow. We followed a troop of Boy Scouts in so we didn’t even need to break trail. The video simply illustrates skiing through the beautiful forest scenery. Note the heavy snow on the branches of the trees. As the day wore on, temperatures rose and this snow began falling in blobs around us. Free advice: wear a hood to keep the snow away from your neck! My skiing wasn’t so smooth, so a lot of post processing was done to reduce the jerkiness of the video. See YouTube for a larger version of the video. You probably don’t want to recreate our adventure, but you can easily create your own. Start with Halfmile’s PCT Maps and locate a place where the trail crosses a significant (i.e. plowed) road in your area. Knowing your limits and the extent of adventure you want, you may be able to find another road that crosses the trail and travel one way from road to road. You will, of course, need to position vehicles at each end – with snow shovels in each. Be sure to check the topography on the map. Our trek was relatively level, but you may wish to try something more challenging. Video, photos and story by Jerry Haugen, your Pathfinder. 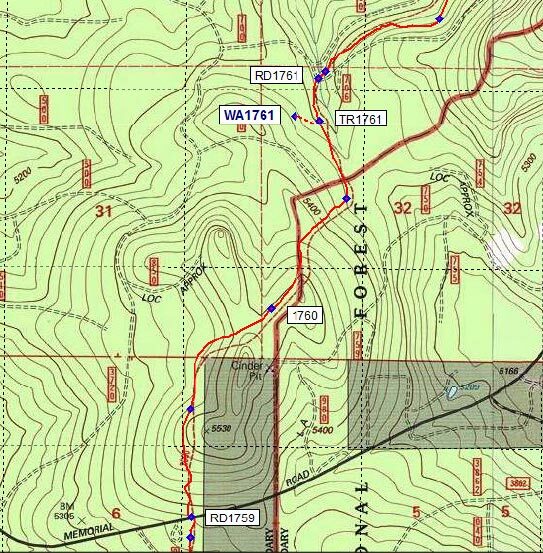 The map is derived from Halfmile’s PCT Map, Oregon Section B, page 7. 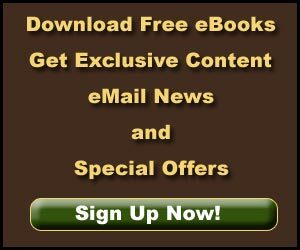 Maps for the entire length of the trail can be found here – free! The video was shot with a 4K Ultra HD 16-Mp 170 degree Wifi Slowmotion Action Camera ($68 at Amazon) attached to my head with a GoPro head strap.